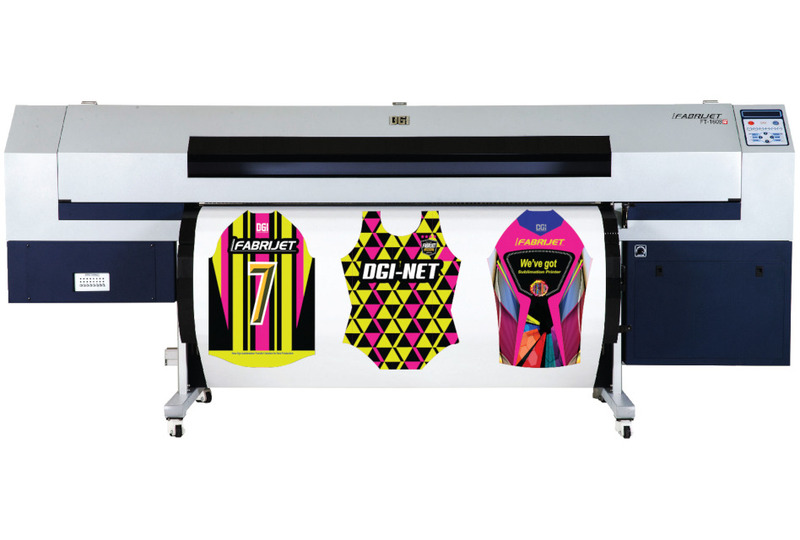 The DGI FT series of sublimation printers offers class-leading advantages such as heavy duty take-up systems, extended drying systems, competitively priced high density inks and the ability to run lightweight sublimation papers alongside an unparalleled three-year Gold warranty as standard,” reports Sabur. 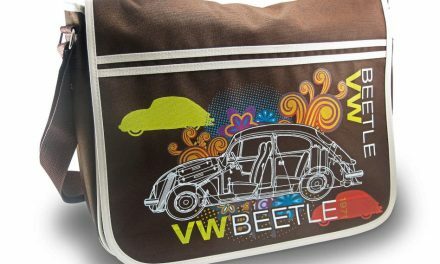 According to Sabur, companies that use products at exhibitions or for point of sale, such as flags or banners, need to look at the DGI FH-3204 hybrid sublimation printer and ask: “Do they want a dual production printer that allows them to print both paper transfer sublimation and direct-to-textile sublimation, enabling them to produce a much wider final application at a width of 3.2m? And do they want to be using variable dot technology and the latest generation industrial Kyocera print heads with an in-line arrangement that allows for up to six different colour channels with the option of fluorescent inks?” The DGI FH-3204 promises all this and more, says the company, plus a maximum production speed of 155 m2/h, a built- in degassing system for print head reliability, and a built-in drying system. 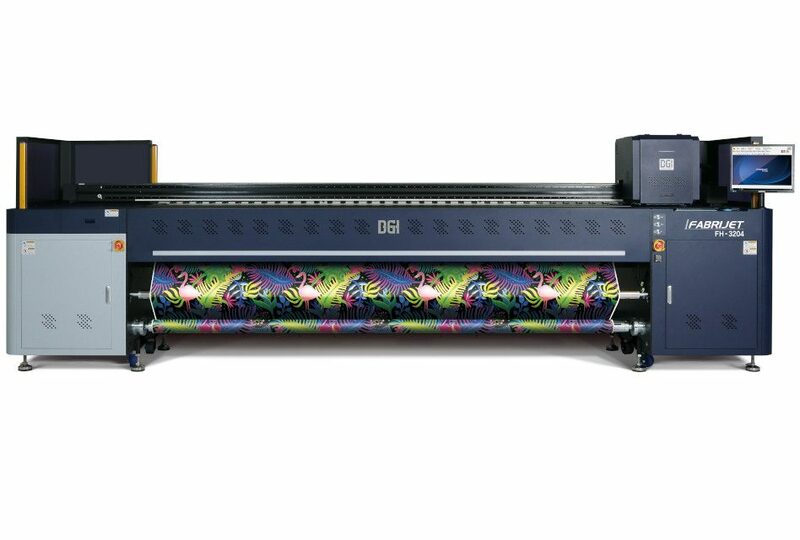 The DGI HSFT III, part of DGI’s Fabrijet Series, is a high speed, dye-sublimation textile printer “that has massive benefits for high volume textile manufacturers,“ notes Sabur, adding that, “You’ll be using a printer that has the latest generation industrial Kyocera print heads, giving you unbelievable durability and performance.“ The four staggered print heads promise print speeds of up to 250 m2/h, and the heavy-duty take- up system allows the convenience of using jumbo rolls as well. Sabur also supplies the Mimaki UJF series, which “provides a unique solution for short runs and on-demand printing”. The company comments: “These printers offer unrivalled versatility and high quality print reproduction on a range of materials, products and substrates. The entry level UJF3042- MK2 can print to a material depth of 153mm and an A3-print area (printing 50 pens in less than three minutes, for example). The UJF3042-MK2-EX offers even more capabilities: its extra print head and eight-litre ink configuration brings the ability to use a printable primer, double white ink for maximum density plus gloss, matt and embossed varnish all in one print run.” The largest model in the range, the UJF6042, has all the benefits of the EX machine with twice the print area. For “unrivalled print quality”, Sabur recommends the Mimaki UJF7151, which it describes as being “perfect for a true industrial application where print accuracy is a must, with a 710mm x 510mm max print area and a full bed print speed of less than five minutes”. 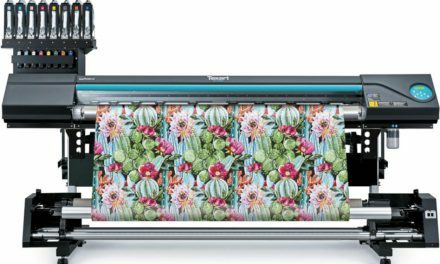 For those that are thinking bigger, the Mimaki JFX200 2513 is an expanded 8ft x 4ft, 25m2/h true flatbed with powerful, adjustable LEDs. The company reports that it is “a true workhorse that can switch from printing items such as pens to full- sized hoarding panels at the touch of a button”. Sabur offers a comprehensive range of printers and heat presses from Roland, Mimaki, Sefa and Klieverik. 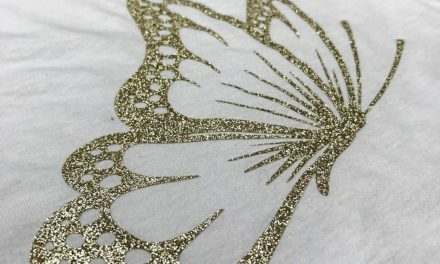 “We are the largest supplier of sublimation papers in the UK, holding in our warehouse close to 1 million metres of sublimation paper ranging from 50gsm up to 130gsm, and 600mm wide up to 3200mm, available for next day delivery.” Sabur adds that it will be launching its very own range of vinyl media in 2019 to complement the Roland and Mimaki printers that its customers are already using.